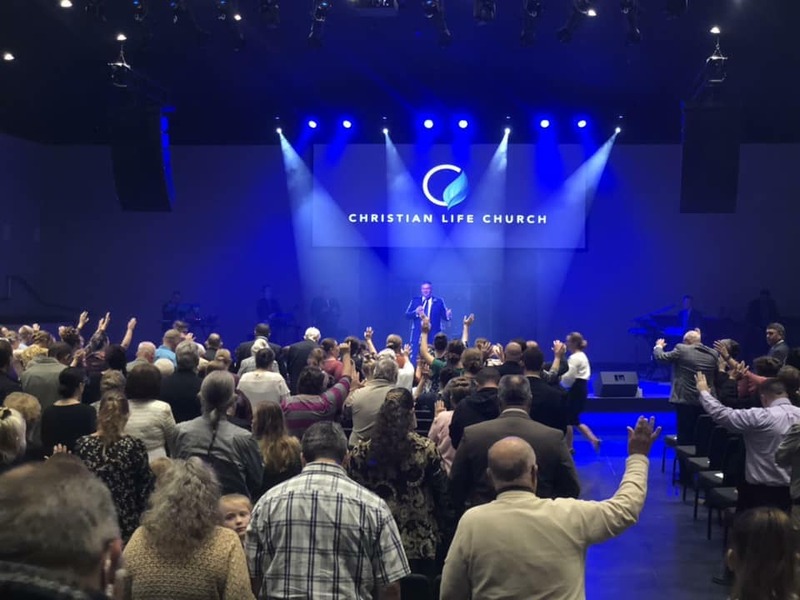 Christian Life Church bases all its beliefs on Biblical principles. At CLC, we endeavor to serve our community with the spirit of excellence and to show compassion to the world around us. Our primary purpose is to reach out to people from all walks of life and assist them in finding God’s specific purpose and plan for their lives. The environment of CLC inspires participation, promotes personal growth and shapes effective leaders. Our church services are characterized by sincere worship, spirited music and practical teaching. Each service will offer the opportunity for personal challenge and spiritual growth. PASTOR JORDAN HAS A HEART TO REACH OUR CITY AND BEYOND WITH THE LIFE-TRNSFORMING MESSAGE OF JESUS. HE BELIEVES IN THE NEXT GENERATION AND VALUES THE WISDOM AND GUIDANCE OF THOSE WHO HAVE GONE BEFORE US. EVERYONE IS INVITED. EVERYONE IS WELCOME. EVERONE IS WANTED. At Christian Life Church, our goal is to minister to the lives of all individuals that we come in contact with. Regardless of a person’s age, race, gender or social status, there is a place for everyone to belong at CLC where his or her individual needs can be met. Whether you are a current Christian Life Church member, or looking for a church to call home, CLC is where you belong. Everyone is invited. Everyone is welcome. Everyone is wanted. Our Guest Services Ministry strives to make every guest that visits Christian Life Church feel welcome and wanted. Guests will be greeted with a friendly face and genuine interest during their visit. We offer valet parking, complimentary coffee on Sunday mornings, and a free gift for our first-time guests. At Christian Life Church we understand the importance of our members connecting with others. We have designed various ministries that are specific to each season of life. Connect Ministries hosts social gatherings for young single adults, for family units, and for our senior saints. Through this ministry, our members find social support and are able to cultivate meaningful and lasting friendships. It is our desire at Christian Life Church to not just be followers of Jesus Christ, but to be His disciples: one who is a student of Jesus and embraces the responsibility of sharing the Gospel with those who need Christ. In addition to weekly Bible teaching, we also offer personal Bible studies for those who want to know Christ in a personal way. Christian Life Church believes in investing in the lives of our students whether they are toddlers, teens or college-aged. Each age group of students are enriched with age-specific events, classes and special services that are designed to captivate them and assist them in the development of a life-long relationship with Jesus Christ. Not only does Christian Life Church believe in prayer, but prayer as a part of our daily walk with Jesus Christ. CLC understands that prayer is the way that we communicate with God, both our requests of Him and His requests of us. Throughout the year, CLC members will participate in prayer initiatives such as 21 days of corporate prayer and 24-hour prayer thrusts. As a result, CLC has witnessed God answer prayer in miraculous ways. Christian Life Church is experiencing one of our most exciting yet challenging moments in history. It is with great faith and much anticipation that we face the challenges of a growing congregation. God has added to the church and given us a vision for the future. By faith, we have stepped through the doors of opportunity and we know God will continue to provide the resources we need. This is the Key To Our Future, and we are excited about moving forward! Thank you for your support of Christian Life Church. If you have any questions regarding your payment, feel free to contact the church office. CALL. REQUEST INFORMATION. PLAN YOUR VISIT.